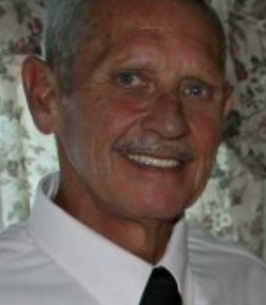 Obituary for Jack Edward Barringer Jr.
Mr. Jack Edward Barringer, Jr., 68, passed away on Monday, October 29, 2018 at Transitional Health Services, surrounded by his family. A funeral service will be held 2:00 pm, Friday, November 2, 2018 at Mt. Mitchell United Methodist Church in Kannapolis, officiated by Rev. Neal Jones. Burial will follow at Carolina Memorial Park. The family will receive friends from 6-8 Thursday night at Wilkinson Funeral Home in Concord. Jack was born on January 10, 1950 in Concord to Mildred Barringer and the late Jack Edward Barringer, Sr.
Jack graduated from Northwest HS and was a member of Mt. Mitchell UMC. He enjoyed fishing, collecting coins, and worked at Charlotte Motor Speedway. He had retired from the Concord Fire Department-Station 1 & 2 and was a volunteer with the Kannapolis Fire Department. He is survived by his mother, Mildred Barringer of Kannapolis; daughters, Donna (Rodney) Tucker of Mooresville, Tammy (David) Brown of Rutherfordton; sister, Brenda Prevette of Rockwell; grandchildren, Caleb Greene, Casey Claypool, Garrett Tucker, Layla Davis, Carter Troutman, Reece Troutman and Liam Troutman. Memorials may be made to Mt. Mitchell United Methodist Church, 6001, Old Salisbury-Concord Road, Kannapolis, NC 28083. Wilkinson Funeral Home is serving the Barringer family. 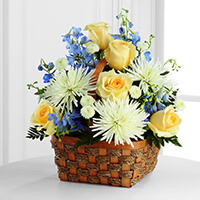 To send flowers to the family of Jack Edward Barringer Jr., please visit our Heartfelt Sympathies Store. My thoughts and Prayers for the family. Jack was a long time friend of mine and even though I have not seen him in years, will always remember him. God Bless. My sincere sympathy to Jack's family.. I worked with Jack many years ago, N.C.D.O.T in Charlotte. We all had some great times. Sincerely, Sue Drye Concord, N.C.